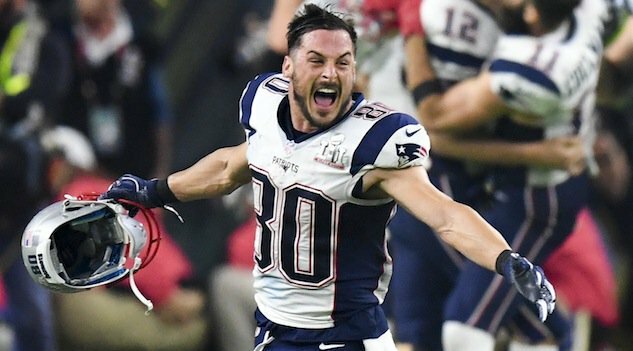 It appears Danny Amendola’s time with the Dolphins may be coming to an abrupt end. With the new regime coming in and Brian Flores taking over as head coach there will be many changes in south Florida and it sounds like Danny will be one of the casualties. The 33 year old Amendola left the New England Patriots last offseason for Miami during free agency and signed a two-year, $12 million contract with the Miami Dolphins with an opt-out option for 2019. Chances are Amendola will be cut in the offseason and he is not likely going to get another large contract elsewhere, so maybe he would prefer to come back to New England where he is loved by millions. The Patriots had to let numerous veterans go last year to stay under the cap and Amendola was one of those casualties along with Nate Solder, Malcolm Butler and Dion Lewis. Perhaps he didn’t enjoy having January off and would like another opportunity to add another ring to his finger. A possible return to New England could be in play if he is willing to take the discount that would make his signing worthwhile. The Patriots will obviously be looking to get younger with numerous picks in the upcoming draft but it wouldn’t hurt to have Amendola back with his veteran leadership and clutch play when it matters most. According to the Twitter account Finszone, which describes itself as “[the] Official Twitter of Finszone/TFW,” Amendola may be on the move again.